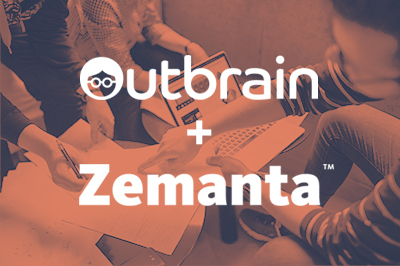 In news related to the native advertising space, Outbrain recently acquired Zemanta. Given our relationship with both of these companies, it’s worth considering the move further. As a little background, Outbrain is the number 2 player in the content recommendation space - they invented the field but were eventually overtaken by Taboola in terms of scale. That said, they do maintain a large footprint of tier-1 publishers, and generally have a slightly higher level of content in their recommendations, though it’s hard to tell. They also don’t let programmatic buyers buy with the same level of access as Taboola, which more or less has allowed for unfettered access. We compete to some degree with these companies. Especially in mobile, there is only so much real estate, so all monetization partners compete to some degree. We compete directly on a small number of publishers. And broadly in the native ecosystem, even though our value propositions are very different (they focus primarily on direct-response - and often have units designed to give no pre-click branding at all, while we're much more focused on branding), there is still some confusion around the margins about the differences between our companies. Zemanta is a native DSP. They started as a content recommendation tool themselves - but as a plugin to Wordpress where content creators could use their tool to identify interesting links or multimedia that have relevance to the content that they were writing. This technology was sold to Sovrn (which is the remnants of the Lijit / Federated merger, and which is an Adsense competitor that focuses on long-tail sites). Zemanta then pivoted to become a self-service DSP that focuses on the content space, presumably leveraging at least some of the technology it had built. Outbrain and Taboola have very similar businesses. Specifically, they pay publishers for the right to include content recommendation on their site - generally in the form of a CPM guarantee with some revshare above a fixed amount. The sponsored content in the content recommendation units is generally direct-response advertising or clicks out to another publication that tries to monetize those users at an amount above whatever it paid for the click. There is also at least some actual content interspersed in the content recommendation block - real articles about similar content based on the user and the page’s content. Publishers that get paid by Outbrain and Taboola “lose” the users that click off on any ad or other content, so they can also elect to pay to get an equal number of users to return. This means that if they lost 1,000 users and were paid $5, then they would try to get 1,000 users back for less than $5, and then be net positive on revenue and equal on users. This creates a highly profitable positive feedback loop for the content recommendation companies. The problem is that both companies do exactly the same thing for publishers, and both have elected to use an “exclusive” model - meaning that they must be the only content recommendation company that a publisher uses. As a result, Outbrain and Taboola have to bid ever-increasing amounts to beat the other as the guarantees that they'd pay - up to the point where they lose money on certain publishers. Because both are so prevalent, they have enough user data and enough advertiser traction that they both have sufficiently similar monetization on their networks of publishers. As a result, they have each seen their margins decrease. They may have considered is simply merging - meaning they could immediately stop bidding against themselves (there are other companies in the space, but they are much smaller than Outbrain and Taboola). There have been rumors that this is being discussed, but the CEOs of the two companies seem quite different in terms of personality. Only one CEO would remain in a merged company, so this would require tremendous levels of sensitive negotiations. Both have also undertaken other responses to this competitive pressure, Taboola acquired Convert Media - an outstream video company. They have started to show videos in their content recommendation blocks at what is likely a higher monetization rate. This lets them bid more for publishers and make a higher margin. It also makes their content recommendation more of a burden for publishers, so the calculus changes slightly. Taboola has also introduced programmatic demand throughout its ecosystem, while Outbrain has largely held off - believing that programmatic demand, relative to its contextual demand, lowers the lifetime value of users on its platform. Outbrain has taken a different model to competition - moving to “off-network.” This means that rather than focusing all its effort on maximizing yield to the publishers given the set of advertisers with whom it has relationships, it is trying to maximize the amount of revenue it makes from its advertisers. This, in turn, would increase the company’s aggregate margin and may allow it to pay publishers more without necessarily resorting to lower quality content or heavier advertising models (or to simply be profitable). They have very interesting user data - they generally keep track of each user and the content of every article that they read - so can do interesting modeling for targeting across the rest of the web. Over the past year or so, they have been scaling up this business through Zemanta. Zemanta itself has grown ahead of our overall growth, meaning they are a growing percent of our business. As native grows, Outbrain will be an increasingly large player. They can make a credible case to DR customers on their network, and using their user data and access to more premium demand, to branding customers through their user extension play. It’s a very different model, and one that we haven’t seen many supply-focused companies embrace - but the timing and opportunity make it particularly interesting.